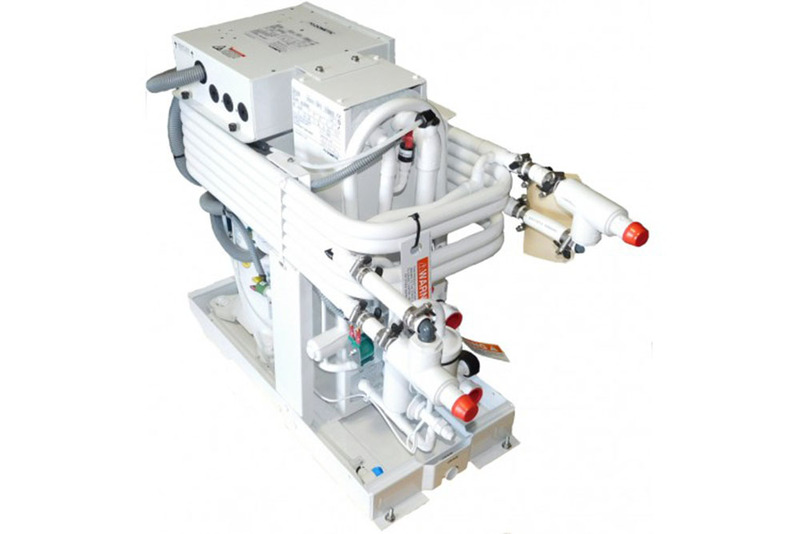 Marine Air’s MCG chilled water series is available in capacities ranging from 24,000 (2 ton) to 180,000 (15 ton) BTU/hr. Featuring a compact base design, MCG modules can be staged to provide a larger system, which is easily retrofitted and serviced in the field. Up to six 15-ton stages can be configured for a system total of 1,080,000 BTU/hr, or 90 tons. Each refrigerant circuit is hermetically sealed and factory pre-charged with R-410A refrigerant. This environmentally safe refrigerant has exceptional thermodynamic properties and maximizes system efficiency.